The Super Pet Chew Proof Water Bottle is suitable for rats and other small pets that like to chew on everything and everything. 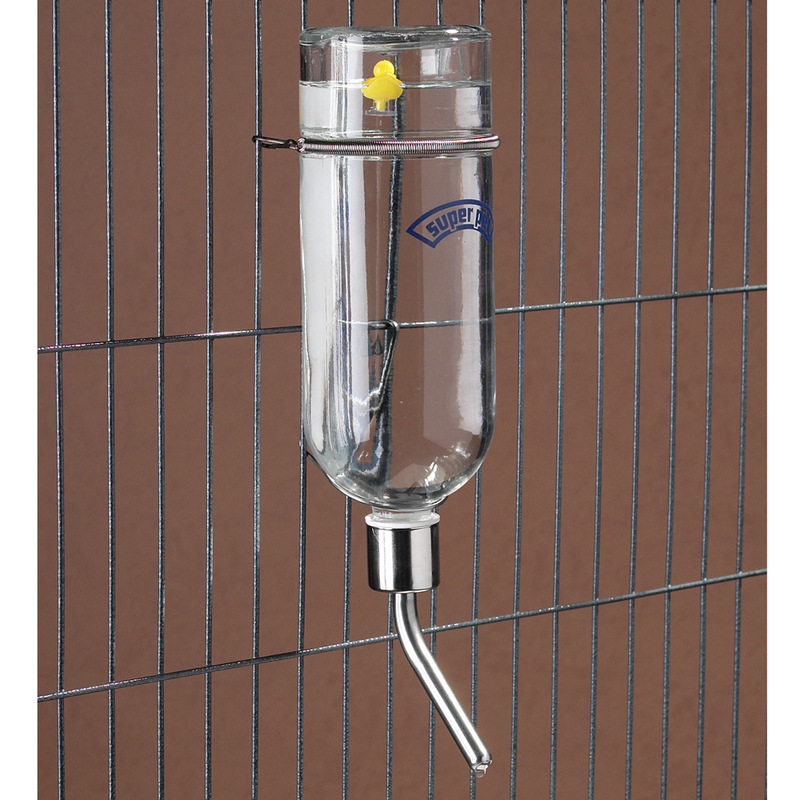 Comes complete with a spring attachment hanger and security hanger which safely hold the bottle inside or outside any wire cage. The sturdy glass construction includes a refill reminder duck which will ensure you can quickly find out how much water you have left at all times. Features Super Pets unique double ball bearing drip resistant metal sipper tube. There are currently no questions for Superpet Chew Proof Water Bottle for Small Animals - be the first to ask one!